Players are asked not to attend due to space limitations. The US Youth Soccer ODP is a national identification and development program for high-level players. The program identifies and develops youth players throughout the country to represent their state and regional associations. At the state association level, pools of players are identified in each eligible age group, and brought together as a team to develop their skill through training and competition. From the state pools and subsequent teams, players are identified for regional and national pools and teams. Maryland State ODP teams are comprised of the best Maryland players in various age groups. 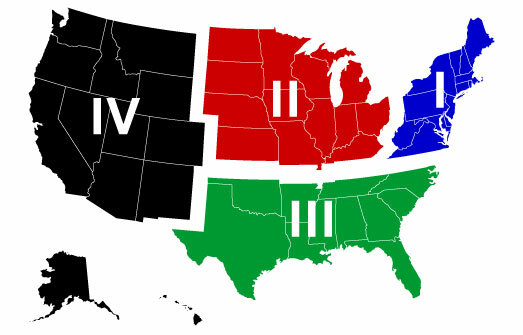 US Youth Soccer segmented the United States into four regions (see below). Maryland is part of Region I.